I'll take the other 6wt sink line from Goduster. PIFs on the way. Size 12 Simms Freestone boots and gravel guards. I'll take the boots Chad! Posting my PIF now! Great beginner reel/line, has some scratches, but it works great. Penny Pressurized Alcohol Stove............"I'll Take It"
I am not too savy on "equal" value but I have stuff to offer. Will try to think of something. I also would like to get the books and dvd's. But I understand the rules. Will play it out properly. Uh....I know.....I think.....I have a brand new pair of Simms gravel guards. Maybe that...if I can find them. Or maybe something else. But I would like to use the stove on my boat. I plan on night fishing a lot next summer. All nighters....be good food on the boat when get the hunger pains. I'll take the reel & line for my 9-year-old son. My first item will be a 12 count midge/chironomid assortment tied by me. More items to come after I look at my stuff. Lando sounds good! PM me where you live and I can work out how to get it to you! ross flywater 1 reel - fished a handful of times. 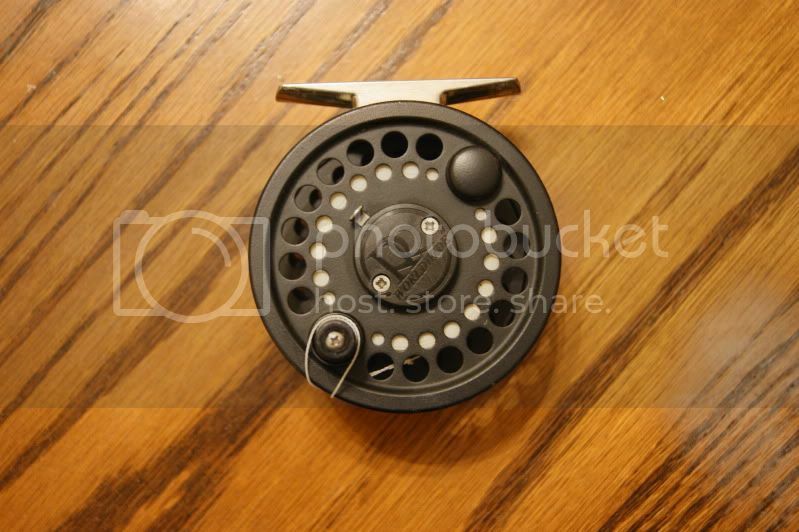 Shiltz, would this reel be too small for a 5wt? My sons just broke and if you think it will ok I'll take it off your hands. yeah it'll do. rated for 3-4-5 and I had a wf 5wt line on there. a serviceable reel no doubt. comes w/ feltish pouch and box w/ om.